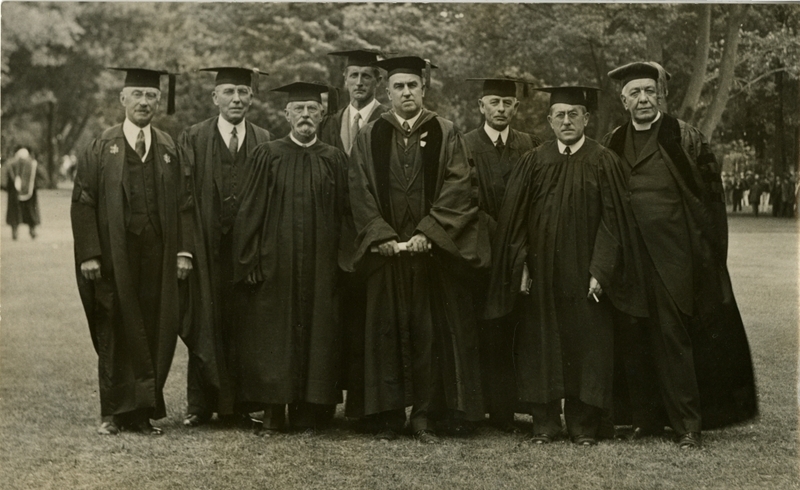 Portrait of Bowdoin College honorary degree recipients at the Commencement of 1932. Left to right: C.T. Libby, O.D. Sewall, C.S.F. Lincoln, M.R. Ridley, President Sills, J.A. Lord, G.R. Walker, J.E. Freeman.